When you need to take a dish to a gathering a Trifle is the perfect recipe. 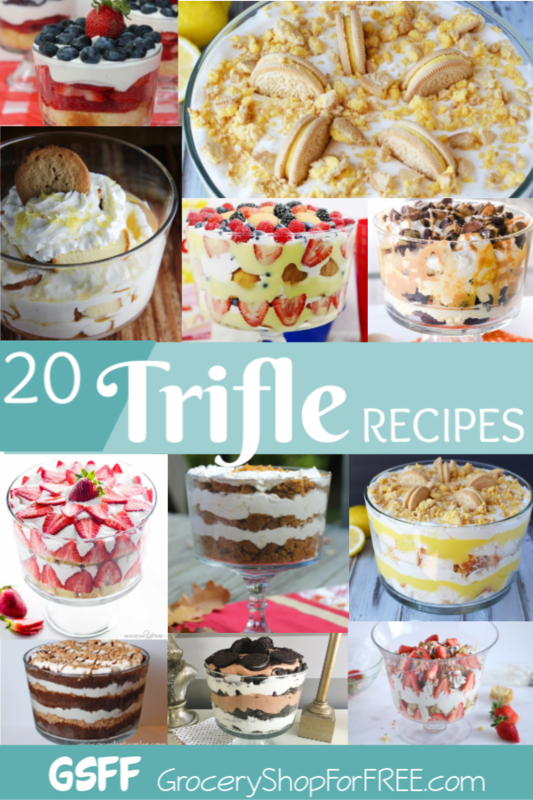 These 20 Decadent Trifle Recipes can be your go to when you’re invited anywhere you need to take a dish! 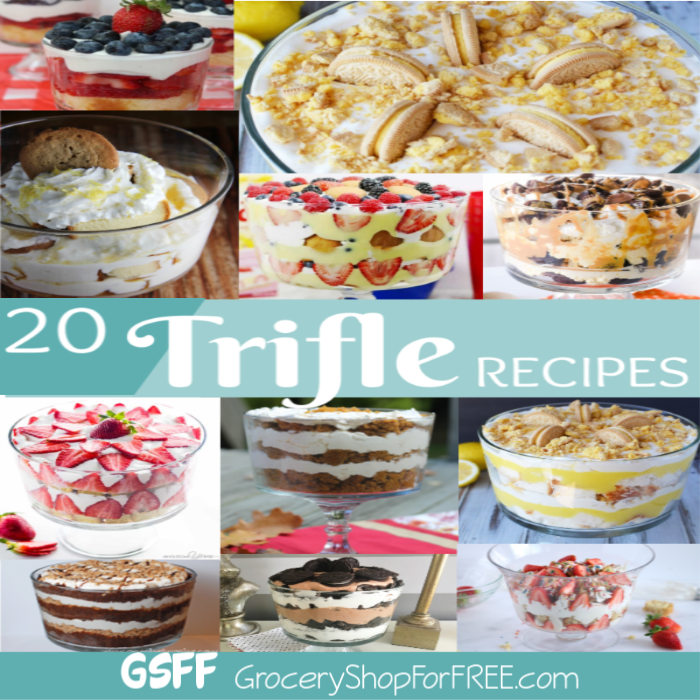 So, what IS a trifle? Because I didn’t know before my friend Alli told me! 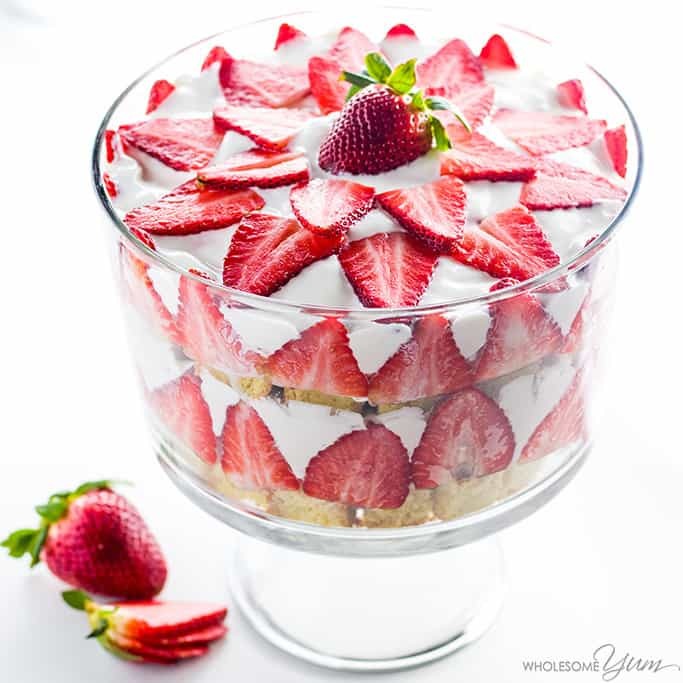 Trifle in English cuisine is a dessert made with fruit, a thin layer of sponge fingers soaked in sherry or another fortified wine, and custard. 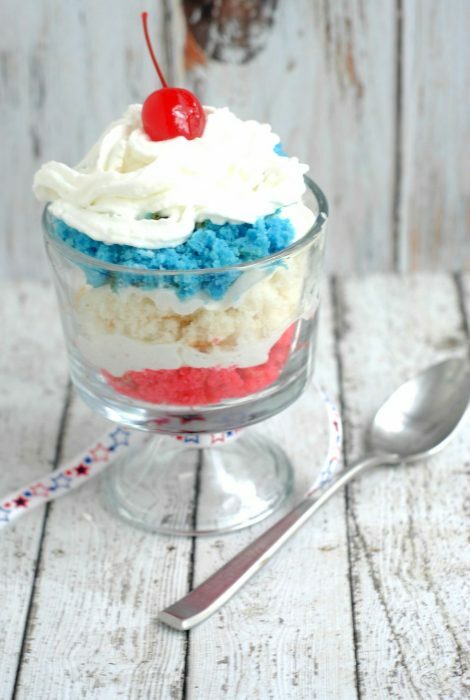 It can be topped with whipped cream. The fruit and sponge layers may be suspended in fruit-flavored jelly, and these ingredients are usually arranged to produce three or four layers. 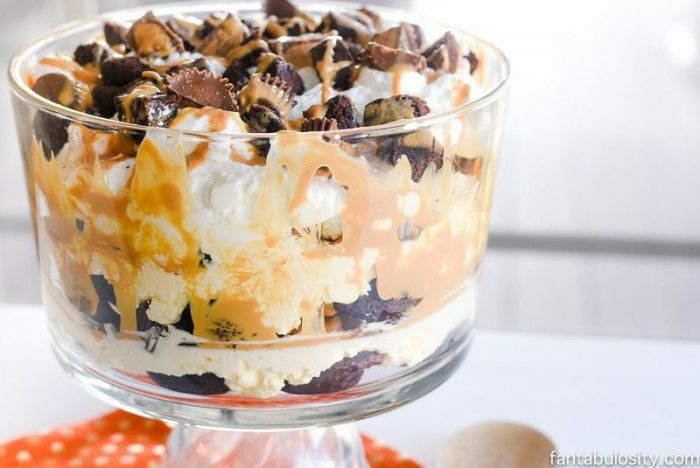 The contents of a trifle are highly variable; many varieties exist, some forgoing fruit entirely and instead using other ingredients such as chocolate, coffee or vanilla. They’re gorgeous and delicious! With their layers of fruit, creamy fillings, and cookie or cake pieces no one can resist a Trifle. You can make one in almost any flavor combination and be the talk of the party! Plus, they look like they take hours, but, they’re really quite simple. Dollar Store DIY Crafts! 20 You Can Make Right NOW! 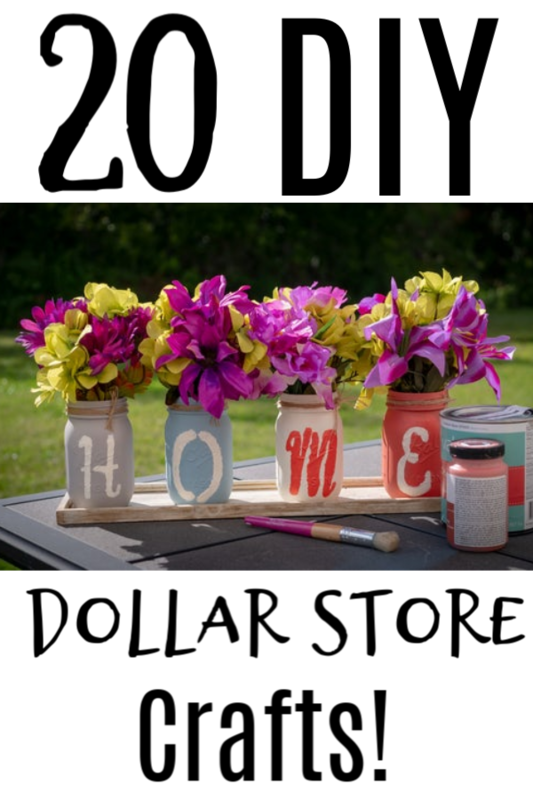 Have you SEEN the things people can make with items from the Dollar Store?! It’s crazy! 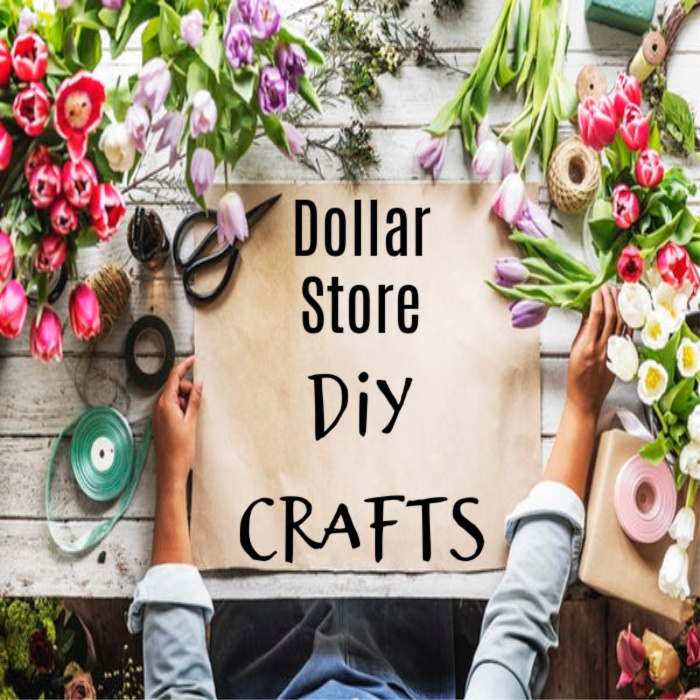 I was so enamored with some of the thing I found I decided to gather this list of Dollar Store DIY Crafts! I am not crafty… I think we’ve discussed this many times over the years! lol But, I am always amazed at what people can do with …”stuff”! LOL My daughter, in particular, is crafty… NO IDEA where she got it! Although her bff in high school was super crafty, so, probably from her. Easter Egg Decorating Idea | Decoupage Easter Eggs! Which one is your favorite? With them all being made with items from the Dollar store – there’s no end! You could do them all! I also love that they are from all seasons, so you can change up things in your home so easily! I hope you enjoyed checking out these Dollar Store DIY Crafts as much as I did. If you do any of these, please come back and share a picture with us, we’d love to see your creations! Milk Deals Roundup! Find The Best Milk Deals In Your Area! 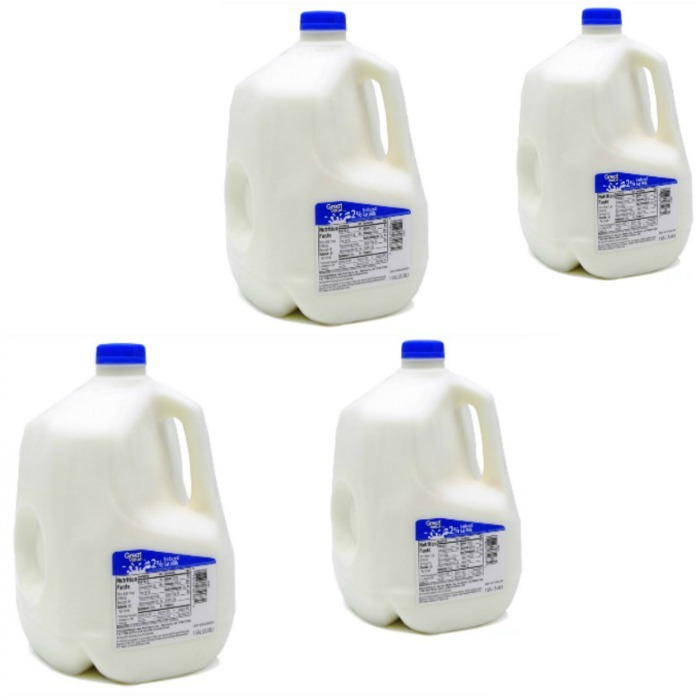 Here is a list of the best Deals and Prices on Milk this week! Over the years milk has been one thing that has gotten more expensive every time I turn around. But, there are great deals on milk all the time, too, if you know where to look! Click here for this week’s —-> Best Prices And Milk Deals Roundup! Be sure to see what store deals the Penny Pinching Bargain Bunch have found this week, too! Click here to see more printable coupons!